Wow, Putin provides Trump with a great idea and Mattis does voodoo mind tricks to flip Trump's view. Mr. Trump had an idea about how to counter the nuclear threat posed by North Korea, which he got after speaking to Russian President Vladimir Putin : If the U.S. stopped joint military exercises with the South Koreans, it could help moderate Kim Jong Un’s behavior. 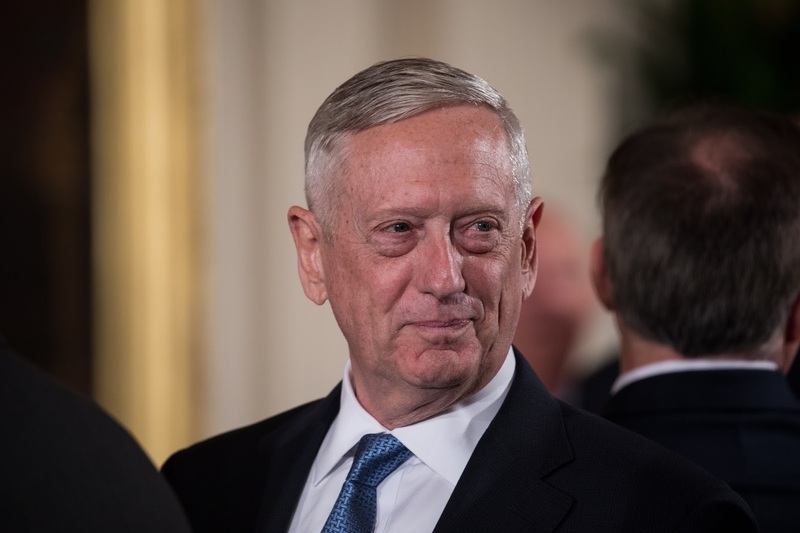 Defense Secretary Jim Mattis used an approach that aides say can work: “He says, ‘Your instincts are absolutely correct,’ and then gets him [the president] to do the exact opposite of what his instincts say,” said one person close to the White House. Mr. Trump dropped the idea, although he has ordered aides to give the exercises a low profile, eliminating press releases and briefings about them. I think by now, I can just say: "The last person he talked to", and you'll know what I mean. BTW, you've got him labeled as Sec. of State in the photo.